ERA Real Estate enters new markets by establishing master franchise operations. Rights to develop the ERA brand in a particular market are acquired by the master franchisor. The master franchise candidate may be an individual or company with experience in the real estate industry or a related field such as banking, insurance, or an entrepreneur with a background in successful network development. The candidate(s) will have sufficient capital to successfully implement the ERA System. Essential qualities in the master franchise profile are individuals with ethical character and integrity. ERA Caribbean seeks partners who share the same principles of a win/win approach to business, those who can lead, work well on a team and who wish to develop long term, mutually beneficial relationships. 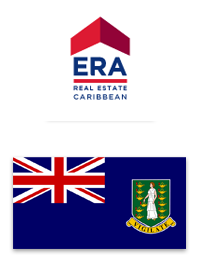 It is the goal of ERA Caribbean to create the leading national residential real estate network in each market that will provide the best products and services to buyers and sellers of real estate. Unique synergies will be achieved via neighboring European countries where ERA is established. The ERA Caribbean management team has a proven track record for developing successful Master Franchise companies. In each country, a customized development plan is established by the ERA Caribbean planning group and the country Master Franchisor. The development plan's objective is to adapt the ERA products, programs and services with particular emphasis on cultural adaptation to the country. A successful adaptation is one in which consumers view the ERA network as a strong national organization with global capabilities. This turn-key approach to assisting the Master Franchisor in developing the network is a unique service that gives the Master Franchisor the greatest probability of success in the shortest period of time.